Find plants by scientific or common name, synonym, colour & more. 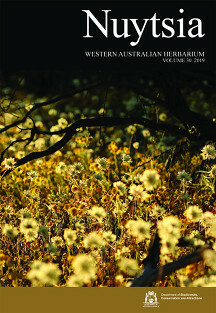 Western Australia’s Journal of Systematic Botany. Identify a plant using morphology and geography. Search within 780,296 voucher specimens collected State-wide. We highlight a green plant, alga or fungus found in Western Australia each month. Find scientific publications relevant to the Western Australian Flora, sourced internationally. Find out what we have been doing with plant data.